Stainless steel wedding bands? 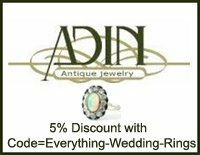 These rings are new to the market, but they are slowly becoming a hit with their low prices, durability, and surprising look of quality. If you have any questions which are not answered here about stainless steel wedding rings, send in your questions through the comment box at the end of the page! Stainless steel rings are resistant to tarnish, corrosion and rust. Rings made with stainless steel may be laser engraved. 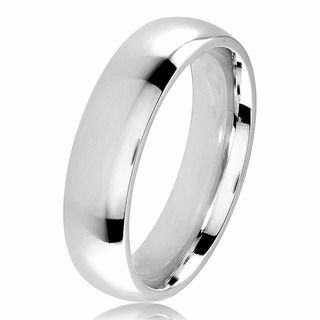 Stainless steel rings are extremely light - only titanium rings are lighter in weight. So what exactly is stainless steel anyway? Stainless steel is a metal alloy (mixture) of iron, carbon, and chromium. It is the addition of chromium that turns regular steel into the bright, reflective, and highly durable stainless steel metal. Additional metals such as manganese and nickel may also be added to the mixture. Find Stainless Steel Cubic Zirconia Rings on Ebay! While stainless steel is extremely durable, it is also a very light metal. Expect stainless steel wedding bands to feel almost light as a feather on your finger - although the addition of gemstones or inlay designs can add a little extra weight to the rings. 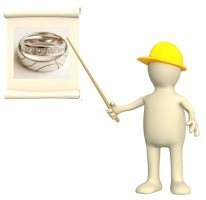 Stainless steel is a poor conductor of heat and electricity - so if you are concerned about these qualities in a metal wedding ring, stainless steel is a good option to go with. The thermal conductivity of gold is 310 and silver is 429, but most types of stainless steel have a thermal conductivity of around 16. Stainless steel is very resistant to scratching, corrosion and tarnish - and it holds up very well to wear and tear (after all, the Gateway Arch of St. Louis is constructed with stainless steel, and after almost 50 years it still looks great!). While stainless steel is not scratch-proof, the stainless steel wedding ring can still look fantastic after years of pretty harsh wear and tear. The pros of stainless steel wedding rings? In addition to high durability and resistance to scratches, corrosion and tarnish, stainless steel rings are also quite affordable. 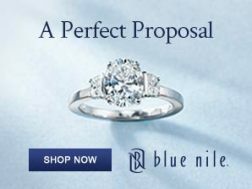 While these rings have the look of platinum, they have a price tag that is more on par with titanium and tungsten rings. If you are looking for inexpensive wedding rings or discount men's wedding bands, stainless steel rings offer low prices without compromising on quality. Stainless steel rings are an eco-friendly option for green wedding rings. The production of stainless steel uses a lot less waste and energy than other metals and stainless steel is 100% recyclable too. While strong, stainless steel wedding rings can be removed in an emergency using regular ring cutting tools. And most stainless steel wedding rings are hypoallergenic with one exception: any stainless steel ring which contains nickel in its metal alloy make-up can cause an allergic reaction in people who have nickel allergies. Stainless steel rings do not require rhodium plate. 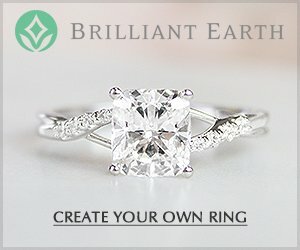 What are the cons of stainless steel wedding bands? 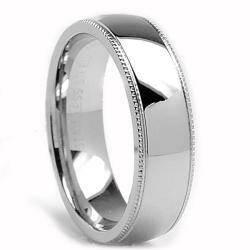 Stainless steel wedding rings are not widely available in stores at this time. 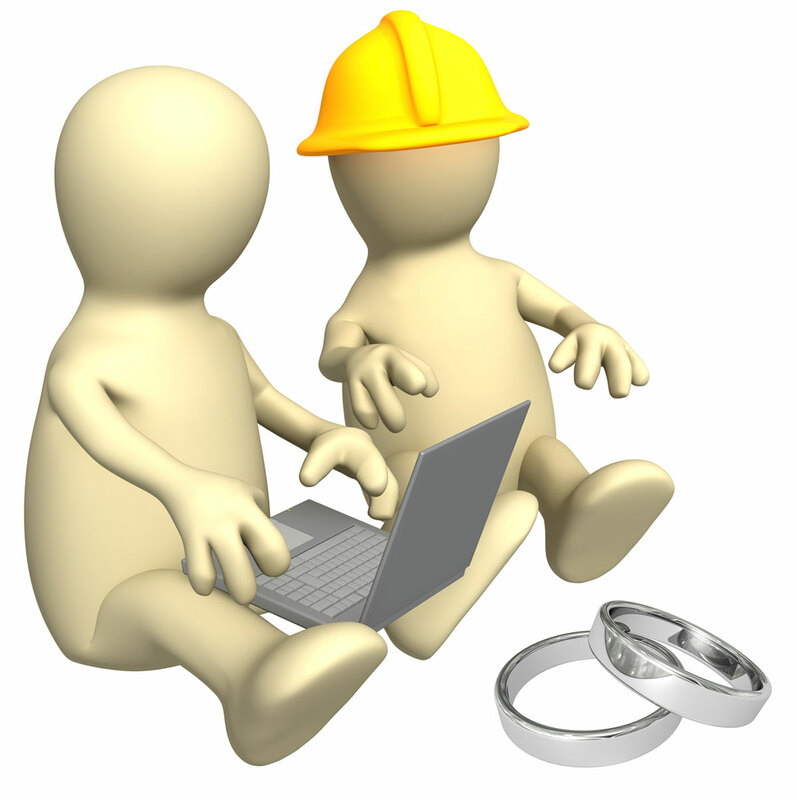 Most stainless steel rings are ordered through online retailers. 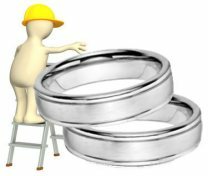 Stainless steel wedding rings can be difficult to resize or repair and the cost of these services could exceed the value of the ring by many times; though some retailers offer a lifetime warranty exchange program. 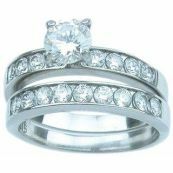 Top Stainless Steel Wedding Bands and Engagement Ring Picks! The Achilles heel of stainless steel rings is chlorine. Stainless steel is very sensitive to chlorine and any stainless steel ring should be removed before swimming in chlorinated water. After years of wear, a stainless steel ring may lose its original polish; a professional polish though can restore the ring's original lustrous shine. 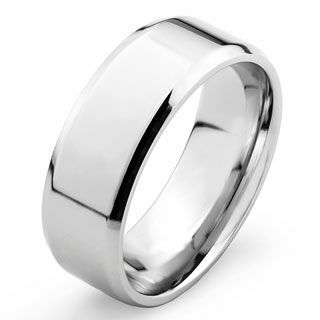 Even though stainless steel wedding ring styles are new to the wedding ring market, there are a variety of styles to choose from - especially if you are looking for a men's stainless steel ring. 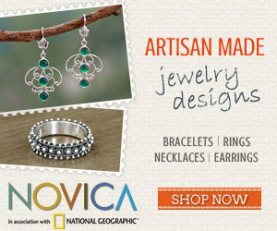 In this metal, you will find contemporary streamlined bands and traditional rounded comfort fit bands. 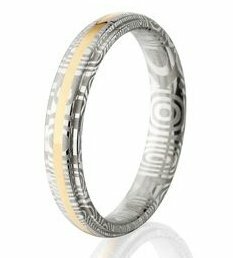 Men's stainless steel wedding bands come with channel set diamonds or gemstones and laser engraving details on the outside or inside of the band too. You can also choose from a variety of finishes - including mirror polish or brush finishes. If you are looking for a two-tone stainless steel ring, be sure to stick with inlay only styles. Any type of plate - including ion plate or electroplate - will quickly wear off on every day wear rings (often within a matter of months). And unfortunately there are plenty of stainless steel rings available with gold and black carbon plate. For a ring that will look great years from now, avoid the plate and look for higher quality rings made with inlay instead. 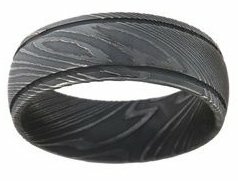 These types of steel rings are made by hand-forging steel metal together through a process of repeated layering, the layering and addition of carbon produces the beautiful different tones and patterns in these rings. Because they are hand-made, no two are exactly alike. These types of rings are extremely strong, but they are not scratch resistant. Unlike other types of stainless steel rings, because these rings are one-of-a-kind and hand-made they cost considerably more than most types of steel rings - on average prices range from around $150 to $600 dollars. 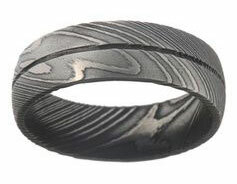 Many Damascus steel wedding rings are available in a wide range of sizes, generally from U.S. ring sizes 4 up to 16. While there is a huge selection of men's stainless steel wedding ring styles, unfortunately stainless steel engagement rings are a bit limited. 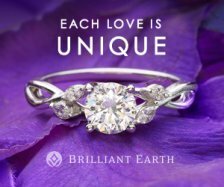 Traditional engagement ring solitaire styles with a large center stone and band available in stainless steel are usually made with cubic zirconia. 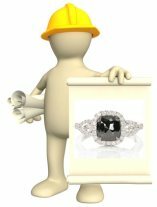 But, if you are looking for a super affordable engagement ring - a cubic zirconia stainless steel ring can be a much more durable choice than silver CZ rings or plated CZ rings - depending on the quality of workmanship that went into the rings. 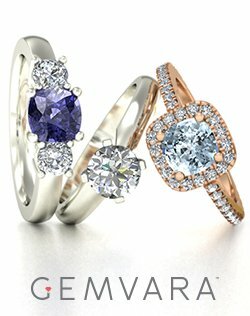 If you are searching for stainless steel engagement rings with unique and modern designs, there are a bit more styles to choose from including tension set styles, sleek contemporary band designs and women's stainless steel rings crafted with channel set diamonds or gemstones. Because stainless steel wedding rings can be difficult to resize, it is important to ensure the correct ring size is determined before ordering the rings. For an accurate ring size, have your finger sized at least twice - a few weeks apart - at a time later in the day or evening. Read the description of the ring thoroughly, and watch-out for any ion or electroplating features on the ring which will not hold up to daily wear. 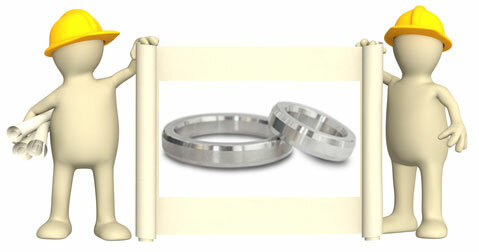 If you are interested in tension set stainless steel wedding bands, take your business to a quality ring manufacturer. 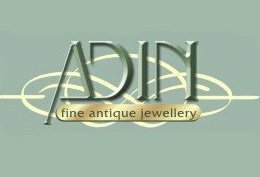 Tension set rings will last a lifetime - and more - as long as they are set with the right materials and crafted with highly skilled hands. But tension set rings that are not made correctly will not hold their tension - and if softer gemstones (like peridot or cubic zirconia) are used the gemstones may eventually fracture or crack. 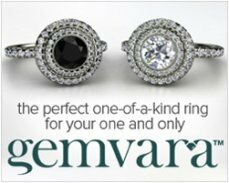 The best gemstones for tension set rings of any kind are diamonds, sapphires and rubies - gemstones with a Moh's hardness rating of less than 9.0 should not be used in tension set rings. 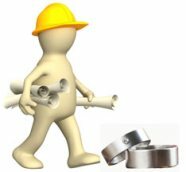 As most stainless steel wedding bands are ordered through online retailers, it is best to stick with retailers that offer at least a 30-day no-nonsense return policy or an exchange program....just in case! 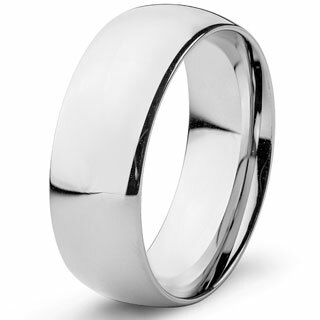 Do you have comments or questions about stainless steel wedding bands? Send in your questions and comments, or upload pics of your stainless steel wedding rings to share here! 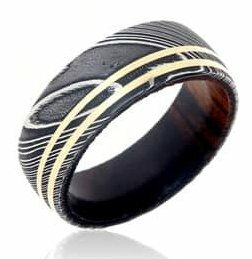 Gold Inlay Stainless Steel Ring? 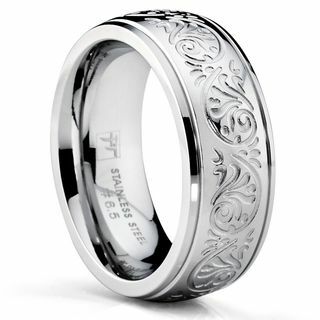 Find durable Discount Men's Wedding Bands here! Are Silver Wedding Bands right for you? More Stainless Steel Wedding Ring Picks!